Lorraine Barte Nepomuceno reviews CaptainForm WordPress forms and walks us through some of the features. Hi everyone! Today we’re going to be looking at a WordPress form building plugin. It is called CaptainForm, and it’s quickly become one of my favorite tools. Not only is it really easy to set up and use- it’s extremely powerful. As you’ll see today. Today I’ll be showing you the Free version of CaptainForm. 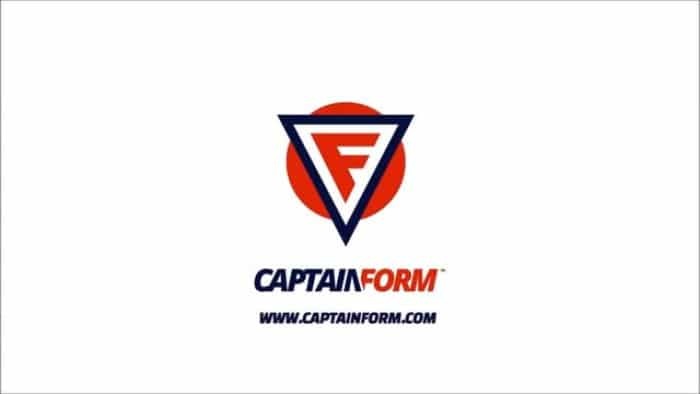 It’s downloadable by anyone on their website, CaptainForm.com– and you can use it for 3 forms, with 15 fields. You can check their other paid options on their website, but for now, CaptainForm’s free version will more than meet our needs. So I’ve downloaded the plugin- it’s a very small file, so you should have no trouble installing it using your WordPress dashboard. Once it’s installed and activated, you’ll see a new section in your dashboard: CaptainForm. I’ll go ahead and click on that now. This is the first step- we’re using the Free version today, so that’s what I’ll activate. Now let’s begin by creating a simple contact form. It couldn’t be simpler: Click on New Form, and you’re presented with a variety of options. As you can see, you can choose between a Blank Form- where you build everything from scratch- or preset templates for everything from regular contact forms to surveys, polls, quizzes, registration forms and a lot of additional templates, as you can see here. So let’s go ahead and create a Contact Form. First, let’s preview what the default template looks like. I’ll click on Preview. It looks good, so let’s go back and work with that template. I can edit the Headline of the form easily. Now to edit each field of the form, simply click on it. When you click on it, your options display here on the left side. You can choose to Show or Hide its’ label whether you want a default value or the size of the field itself, and more. Let’s try adding some instructions to the Name field.. As you can see, it automatically updates. And we can do edits on all other fields as well. There’s also a built-in Smart Captcha, which is great for that added security. If you want to use other captcha-types, they’re available as options too. Now let me show you another thing I love about CaptainForm’s system: the Layout Options. Click on this button, and you’ll see all the layout options available to you. If you’re not a CSS expert, then you’ve probably wrestled with laying out an online form before- things not aligning properly and so forth- but CaptainForm makes it really easy. So now let’s now try adding another field. Why don’t we ask our visitors whether they like our website, and use Radio buttons for these. Click on Radio and you’ll see a new field is automatically added to the form- here. So let’s change the label. And we can easily change the available choices here. That’s why these templates are so helpful- you can simply change whatever has already been set up. Over here, you can also change the Default Choice presented to the user, and set up other options, such as making this a required field, and so forth. Now we can go ahead and preview the form by clicking this Preview button. It’ll open in either a new tab or a new window in your browser. Since that looks good, we can move on to the Settings of this form. I’ll go through these quickly, because the truth is that if you simply want to set up a quick form, you can probably skip over most of these- and go directly to publishing. But I do want to show you how powerful this plugin is. Notifications can be set up in various ways- you can set which email addresses to send and receive them at. Design-wise, there are themes to choose from- and you can create your own as well. And these– are the 3rd party Apps. As you can see, CaptainForm has many built-in integrations, allowing you to use it in tandem with a number of major apps and services. There are apps for CRM, email marketing, file and project management. Now, you can also use CaptainForm to create order forms, and it includes integration with payment processors as well. Note, though, that to use this feature, you’ll need to sign up for one of their paid plans. Moving on the Security Settings, you have the option to set a Form Password- and all the settings for the captchas that I mentioned earlier can also be found here. The Rules Settings- now these are interesting. With them, you can use conditional logic on your forms- for example, you can trigger an autoresponder, redirect a user to a specific page, or hide and show different parts of the form based on the user’s input. We’ll take a closer look at these in a little while. But let’s go ahead and publish the form. Returning to the My Forms’ page, I see the form we just created- and that it’s currently “Active”. Going to “Publish”, we see several options for using the form. There’s a shortcode, which can be inserted in any post or page in WordPress, a widget to use in a sidebar, a PHP function call to be used in theme files, or the option to set it as a pop-up in a variety of ways. Since this is just a contact form, though, lets just use the shortcode and set it up in a new page. This literally takes seconds. So let’s see the page we just made, with the contact form inserted. And there you go. Now I’ve already shown you most of the settings of CaptainForm’s powerful WordPress plugin, I do want to walk you through making one more type of form. But before that, let’s have a quick look at the Support Section here- through it, you’ll be able to either request support from CaptainForm, or access their Knowledgebase directly. I think this is a nice thing to have. But let’s make one more form today: a survey. Lets leave most of the default settings of the survey template on. What I want to show you here is how to use Rules in the survey form. So go to Settings > Rules, and Add Rule. Let’s set it up so that if the User selects the first option in the first survey question, then and ONLY then do the second and third questions appear. This is conditional logic, and it’s a wonderful way to customize your forms and surveys. And as you can see, CaptainForm makes it very easy. So finally, lets add this survey form as a widget in a sidebar. I’ll run through this quickly. I’m setting it up in my Primary Sidebar as text that you click on. CaptainForm is a wonderful way to add forms quickly to your WordPress site. It’s amazingly powerful, but also amazingly easy to use. As you saw today, even the Free option- and it’s free for life- is among the most powerful solutions out there. I hope you found this tutorial useful, and let us know in the comments if you have any questions about this tutorial or CaptainForm. You can check out some more of the features here or go here to try out a live demo yourself.